One is confirmed dead in a US Navy Blue Angels jet crash at Smyrna Airport in Tennessee, according to WKRN. A giant explosion was seen near and far. Smyrna police confirmed at an evening news conference that previous reports of the one person dead at the scene was the pilot, a Navy captain named Jeff Kuss. The crash comes shortly after another Navy jet crashed in Colorado Springs. 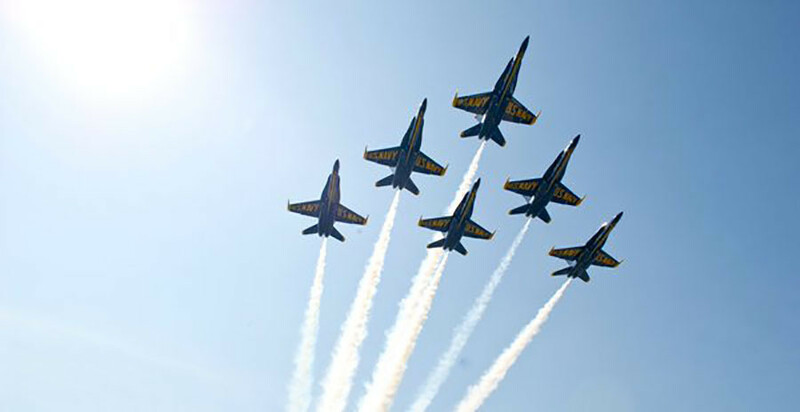 The Blue Angels were set to perform at the airport this weekend, June 4 and 5, at The Great Tennessee Airshow, but the Navy has canceled all Blue Angels appearances. The crashed jet was reportedly practicing for the bi-annual event. Smyrna police have turned the investigation over to the Federal Aviation Administration and the US military, WSMV reported. There are harrowing accounts from witnesses on Twitter, as more details come in. Vanderbilt University Medical Center dispatched LifeFlight helicopters to the crash site, WKRN reported. Lights are back in in Smyrna with a few exceptions around the Blue Angels crash site.